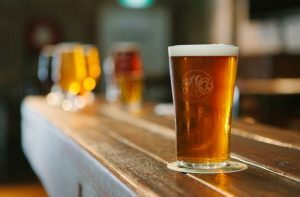 COSTA MESA, Calif., Oct. 18, 2018 (GLOBE NEWSWIRE) — via OTC PR WIRE — Sipp Industries, Inc. (OTC:SIPC), a multifaceted corporation specializing in technology, manufacturing and distribution of commercial and consumer products, announces the official launch of Major Hemp HIPA for Friday, October 26th at Church Street Brewing Company in Itasca, Illinois. Sipp Industries will be co-sponsoring a tasting event with Church Street Brewing Company where patrons, shareholders and potential customers will be able to taste the first samples of the premium craft hemp beer. Sampling will begin at 5pm until 11pm with food and snacks being provided. The Company also reports a new bill signed into law in August by Illinois Governor Bruce Rauner will allow the state’s breweries to purchase and sell guest beer and cider in their tap rooms. Under House Bill 4897, the state will allow licensed Class 1 breweries (producing up to 30,000 barrels annually) and Class 2 breweries (producing up to 120,000 barrels annually) to purchase beer and cider from either a wholesaler or a self-distributing brewery. The state of Illinois does not limit the amount of beer that can be sold in the tap room. “We are excited and anxious to introduce our new HIPA in both draft and cans. Similar to the warm reception we have received with our Major Hemp Brown Ale, preliminary feedback on the hemp IPA has been very positive. We are actively talking to various multi-state distributors who have expressed interest in carrying our products and expect placements of our beers shortly after the launch date,” commented Syman Vong, Chief Executive Officer.